With the end of the tax year is looming fast on 5th April – there may still be time to make sure you’re not paying too much in tax. According to professional services search website Unbiased.co.uk every year, UK taxpayers give away several billion pounds in tax more than they need to. In 2015 the figure is expected to be an astonishing £4.9 billion. With the Government is still spending roughly a fifth more each year than it collects in tax, we’re not expecting to see significant tax cuts any time soon. Hence, you owe it to yourself to organise your affairs in such a way you’re not paying more tax than you need to – we need to arrange your own tax cuts! Not seeking professional help e.g. from an independent financial adviser – preferably a Chartered Financial Planner and/or Certified Financial Planner professional holding a tax qualification. 1. Child benefit is worth up to £20.50 per week and for additional children £13.55 per child per week. If you are a parent earn more than £50,000, you start to lose your entitlement to child benefit. However, by making a pension contribution you may be able to reduce your taxable earnings below this level, and so preserve this benefit for your family. For example, to a family with 2 children, that could be worth up to £1,770.60 per annum. Seek advice. 2. Individual Savings Accounts (ISAs) – if you’ve got any savings, or investments, you should usually invest in an ISA. These are simply tax-free or tax-efficient accounts for your savings or investments. You have the ability to save £15,000 per person – before 5th April 2015 and a further £15,240 per person after 6th April – for a couple that’s a total of £60,480. It makes sense to invest in ISAs at the beginning of the tax year if you can afford to do so. If you are lucky enough to earn more than £100,000, you may be paying some tax at 60%. This is because due to the withdrawal of the personal income tax allowance for income over £100,000, earnings of between £100,000 and £120,000 will be taxed at an effective rate of 60% this tax year. A payment of a single contribution to a pension plan prior to 5th April 2015 could reduce this burden and see you obtain tax relief on the contribution at an effective rate up to 60%. A case of 40 pence in the hand – versus £1.00 growing virtually tax free for your future. 4. Switch cash savings into your spouse’s name – if you pay a higher rate of income tax than your partner, consider shifting any savings into their name if they pay tax at a lower rate (or are non-tax payers). Through transferring savings or shares into your spouse’s name or changing the ownership of investment properties – so that the ownership is weighted in favour of your spouse – means that the income would be too. 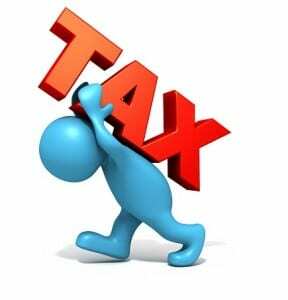 Further, from April 2015 married couples and civil partners will be eligible for a new transferable tax allowance. The Transferable Tax Allowance for married couples will enable spouses and civil partners to transfer a fixed amount of their personal allowance to their spouse. The option to transfer will be available to couples where neither partner is a higher rate taxpayer. For a couple choosing to use the Transferable Tax Allowance, one individual will be able to transfer £1,000 of their personal tax free allowance to their spouse or civil partner. It will mean that the higher earner will be able to earn £1,000 more before they start paying income tax. 5. Offset your mortgage – save £’000s? If you have a mortgage and savings, read this! You should consider an “offset mortgage” – you can save a lot of money through switching your savings to a linked savings account with the same institution as your “offset” mortgage is with. In the example below, we’ve assumed a £200,000 repayment mortgage over 25 years at an interest rate of 3% and where, before setting up an offset mortgage, there is also a savings balance of £100,000 earning just 0.8% per annum on deposit (net of tax). The mortgage repayments are £957.13 per month and the interest on the savings account just £66.66 per month. Using an offset mortgage arrangement, the savings account produces the same rate of return as the mortgage rate (in this case effectively 3% per annum tax free) so the £3,000 per annum ‘interest’ (£250 per month) is usually used to reduce the capital owing on your mortgage at a faster rate (so you pay your debt off sooner). Some lenders, rather than using the £250 per month tax free interest to reduce the mortgage capital owing, will allow you to reduce your monthly mortgage payment by £250 instead. In the above example, the monthly mortgage payment could reduce from £957.13 per month to £773.80. In summary, reorganising your finances with an offset mortgage lets you use your linked savings to save tax and reduce the amount of interest you’ll pay on your mortgage. That interest can be used to reduce the capital owing quicker – or to reduce what you pay each month – it varies from lender to lender. Importantly, you still retain access to your savings if need be. Seek independent regulated mortgage advice for the latest deals available what are agile processes. To avoid handing your hard earned cash to the tax man, you should consider using your children’s tax free allowances, you are unnecessarily handing money to the tax man. You can pay up to £4,000 into a Junior ISA (JISA) this year for tax-free returns. A JISA is a long-term tax-free savings (or investment) account for under 18’s. A word of warning mind you – the funds belong to your child once they reach 18! Party time? You can also contribute up to £3,600 gross to a pension in your child’s name. You write a cheque for £2,880 and this is grossed up to £3,600 owing to the 20 per cent tax relief on contributions. The earliest age the pension can be accessed by your child is age 55. 7. Capital Gains Tax (CGT) allowance – use it or lose it! If sitting on capital gains (typically on shares or unit trusts) of up to £11,000 and you haven’t used all your gains tax free allowance this tax year, then before 5th April consider selling some shares/units then re-investing – perhaps to an ISA – and make yourself up to £11,000 tax free. Married couples can each use their CGT allowances so if there is a gain of over £11,000 – consider transferring assets between spouses so you each have a full £11,000 capital gains tax free allowance. A transfer between spouses or civil partners is usually tax-free. There are rules about re-investing back into the same assets within a 30 day period – so take expert advice. If capital gains exceed £11,000, then you can delay selling assets until the new tax year when a further capital gains tax free allowance (£11,100 2015/16) becomes available. More adventurous investors (especially those who can no longer fund into pensions and whom have utilised their ISA allowances), can make a dent in their tax bill by investing into an Enterprise Investment Scheme (EIS) or Venture Capital Trust (VCT). Both are designed to encourage private investment in smaller companies. For EIS, tax relief of 30% can be claimed on investments (up to £1,000,000 in one tax year) giving a maximum tax reduction in any one year of £300,000, provided you have sufficient Income Tax liability to cover it (i.e. the maximum tax rebate is the amount of income tax you pay). Via a VCT you can invest in a wider range of shares. This gives a tax reduction of up to 30% of the amount invested, on investments of up to £200,000 each tax year. Like EIS, the maximum tax rebate is the amount of income tax you pay. A £100,000 investment would knock £30,000 off your tax bill, the maximum investment cutting your tax by £60,000. VCTs have been with us for over 20 years now so are hardly ‘new’. Of course, the risk is that these investments do not perform well and the losses outweigh any tax saved (although there is potential income tax loss relief on EIS). We recommend you seek our expert whole of market independent financial advice. Don’t let the tax dog wag your financial tail! Make sure any tax planning you do before or after the 5th April is for your long term benefit. Or as we like to say, ‘invest in some proper planning, before planning to invest’. Iain Wishart is a Chartered Financial Planner & Certified Financial PlannerCM professional at Wishart Wealth Management, independent whole of market financial advisers. The information provided in this article is not intended to offer advice. This information is not personal advice based on your circumstances. It is based on Wishart Wealth Management’s interpretation of the relevant law and is correct at the date published. Whilst we believe this interpretation to be correct, we cannot guarantee it. Wishart Wealth Management Ltd cannot accept any responsibility for any action taken or refrained from being taken as a result of the information contained in this article. Wishart Wealth Management Ltd are authorised and regulated by the Financial Conduct Authority (FCA) no. 469955. The FCA does not regulate tax advice, so it is outside the investment protection rules of the Financial Services and Markets Act and the Financial Services Compensation Scheme.